Earlier than ever before, the Hebridean Princess 2020 Cruise Directory has been sent to the printers in order to be released during April. 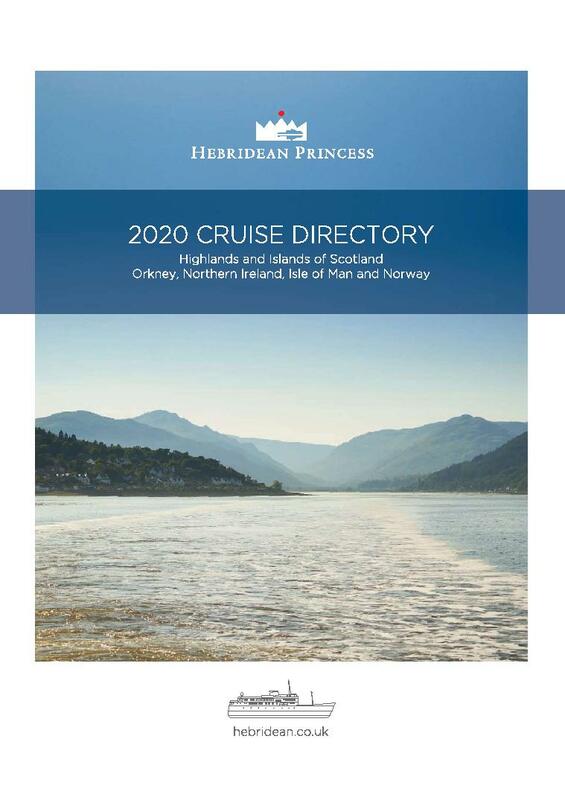 Next year Hebridean Princess will return to Norway for a series of four fascinating cruises. We will explore the lesser known Hardangerfjord and the almost undiscovered Lysefjord, discover the delights of Sognefjord and the deep blue UNESCO-protected Geirangerfjord, and reveal the awe-inspiring inlets and islands between Bergen and Stavanger. We have introduced a variety of new Scottish cruises, including four new ‘Footloose’ walking itineraries, plus there will be many other familiar favourites. 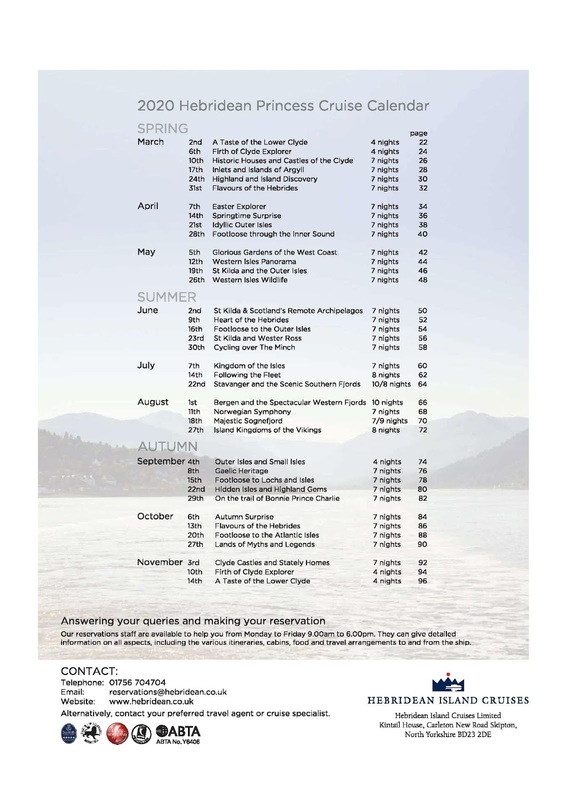 Themed cruises involving cycling, food and drink, gardens, nature and wildlife, arts and architecture, history and heritage will also appear in the 2020 cruising schedule. The success of our Guest Speaker programme will continue to enrich selected departures and our knowledgeable on board guides will accompany every itinerary to bring each one to life.